My eldest daughter was organizing her Monday accordingly: "It's Cyber Monday. I need to be home so I can snag all the deals." She had made sure her schedule was clear so she could stand guard by her laptop all day long. She even color coded her list of gifts she needed to buy for the family because: "The goal is to get all my holiday shopping done before midnight. It's Cyber Monday!" It is well communicated with emails and advertisements. It affords you to get the holiday shopping done from the comfort of your own couch. The general consensus is that holiday shopping is easier now that we have Cyber Monday in our world. Regardless of how we may feel about holiday consumerism, we cannot deny the convience Cyber Monday offers. Giving Tuesday could take a page out of Cyber Monday's playbook. The story must be compelling. For-profit businesses spend big money to promote their products for Cyber Monday. Marketing teams are dedicated to writing the story for why the consumer should purchase their goods. They devote a huge portion of their budget to communicating what they will offer (value and sale). They use several modes of communication (tv ads to social medias ads) to make sure their story is heard. They spare no expense. Non-profit organizations need to organize their budget so they can invest in a communication strategy that will tell their story. If the story is compelling and if the giver has seen/heard it more than once from more than one source, there is a greater chance the giver will stick around hear how they can give. If for-profit businesses believe in their product enough to sell their story, how much more should non-profit organization believe in their own value enough to tell their story? Bottom line: Spend the money and build the story-telling team. Your mission is worth it. Cyber Monday is ALL about convenience. To maximize the #GivingTuesday potential, organizations need to roll out the red carpet for their givers. They must making giving as convenient and uncomplicated as possible. Websites should be easy to navigate and online giving must be accessible. A potential giver should be able to grasp the heart of the organization and be able to make an online donation as easy as it is to purchase an item from Amazon Prime. Gone are the days where the majority of giving is a mailed-in check. The path to online giving should be clear and quick. If it takes longer than 4 minutes for a potential giver to make a donation, they will are more likely to click off your page. A shabby site breeds suspicion. No one gives to a site they are "unsure" about. Bottom line: Insist that your website is easy to navigate and simple to use for online giving. Invest in a great website and then hire someone to maintain it. Non-profit organizations are not just looking for one-time donors. They are looking for long-haul partners who will help carry the mission. It is important that a connection is made when givers do donate on #GivingTuedsay. When you make any purchase on Cyber Monday, you receive a confirmation email that both thanks you for your purchase and lets you know when you should be expecting your package. Organizations can connect to their #GivingTuesday donors the same way! A simple email to say thank-you and let know how they can further be involved will help build a strong connection. Bottom line: Follow-up is key! 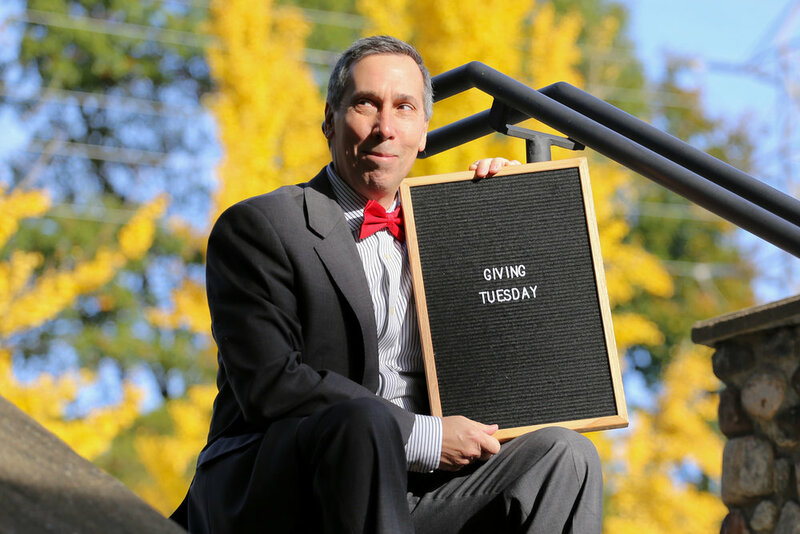 Don't miss out the opportunity to turn your #GivingTuesday donor into a long-haul partner! Stay connected! #GivingTuesday is an awesome movement! I am huge fan for giving people the opportunity to be apart of greater good! Non-profit organizations can benefit greatly from this wonderful social media fueled platform if they organize and strategize to make giving easy.